Lazicki’s is dedicated to educating the community about today’s captive parrot crisis. 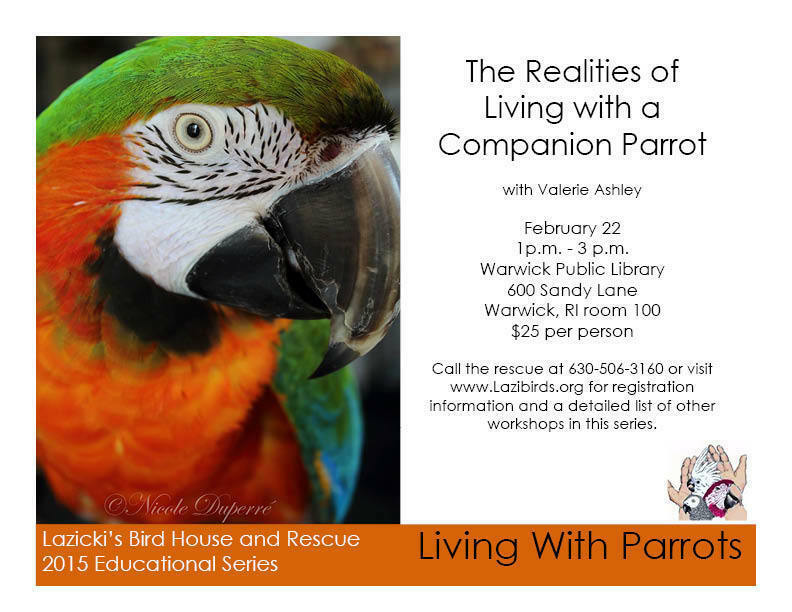 Our 2015 "Living With Parrots" monthly educational series is slated to begin in January and will touch on everything from parrot enrichment to advanced care and nutrition. Participants will have the opportunity to join in a toy-making workshop, prepare chop for their feathered companion and have all their questions answered by experienced instructors. Our second workshop of the year will be held at the Warwick Public Library, 600 Sandy Lane Warwick in the small conference room. This informative class will cover some of the basics of living with these complex, exotic creatures.